The pensions and lodges page looks great. Well done. Cheers Skido. I'm hopeful of getting the new hotels page up before the season starts. 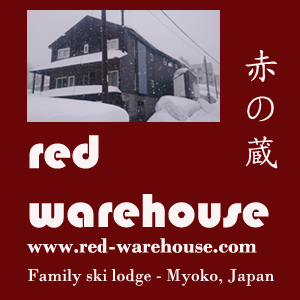 One I stayed at a few years ago (listed on the website above) was Gakuto Alpine Lodge. It was a full on Japanese lodge, which maybe a slight culture shock for non-Japanese. It was very nicely appointed (the lodge is constructed from japanese cedar I believe) and included breakfast each morning. As i mentioned it's the full japanese experience so expect tatami mats, chairs without legs, tiny slippers, yukatas and rice pillows. Silly gaijin (I include myself in that!) should brush up on their shoe/slipper etiquette! There's a drying room and internet access. It's in the wadano-no-mori area which is at the north-eastern corner of Hakuba. The owner was extremely hospitable in true japanese fashion. He picked me up and dropped me off at the bus station. I was only there for 2 nights/3 days as I was in japan for work so didn't have all my gear, but he drove me to get a hire board and bindings and also down to the Kurashita-no-yu onsen each night (also recommended). Their english is not perfect, but certainly good enough that I was able to call and explain what bus I was catching from Nagano and what time it was arriving. The lodge is ski-in (boarders will need to keep speed) once you get your bearings (quite hard as the Wadano-no-mori area is heavily wooded and the roads aren't really in a grid). It's not ski out, but only a five minute flat walk to the lifts. To get over to the happo gondora ( ) you will need to take a few lifts and traverse (easy as pie), but there is also a bus stop almost outside the lodge, although the buses were infrequent and took quite a circuitous route. There's a few restaurants in the area, but overall Wadano-no-mori is fairly quiet. Downtown hakuba and all its bars and restaurants are only 5 minutes away in a cab though. It was slightly pricey, but if you aren't afraid of a full japanese experience, I can recommend this place.